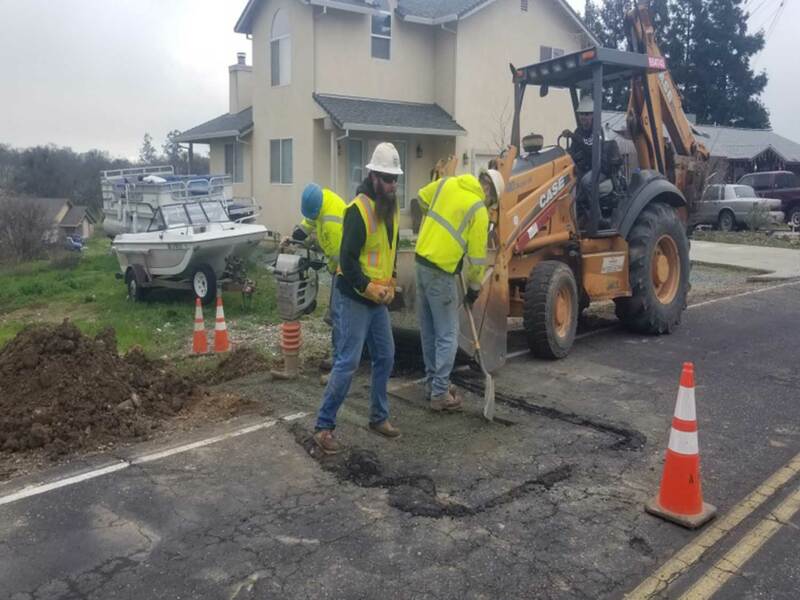 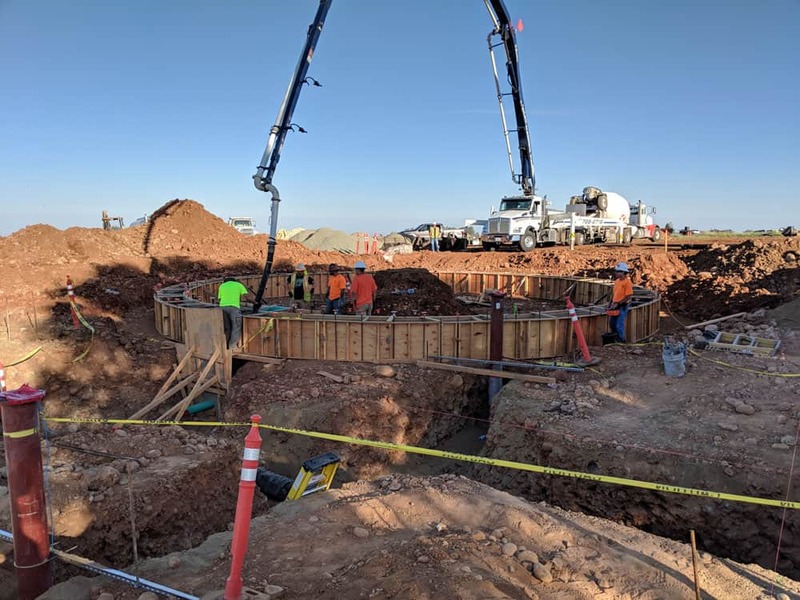 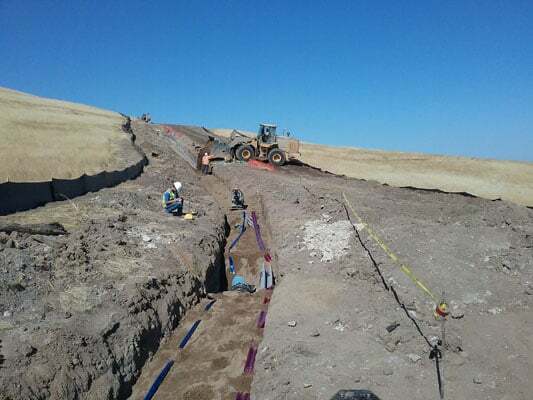 (Sutter Creek) Construction on a new half-million gallon steel water storage tank that will serve Lake Camanche Village customers is underway. 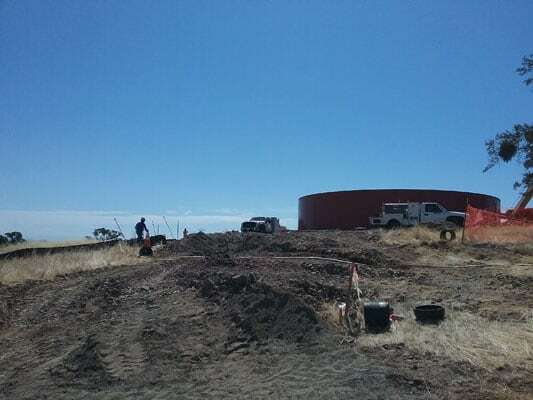 Amador Water Agency Directors gathered at the new tank site Friday to break ground on the project that will conserve water, improve water quality and add capacity for firefighting to the Lake Camanche Village water system. 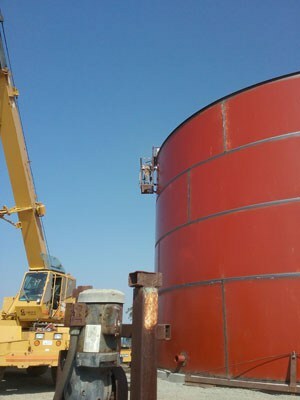 The tank and a new 12-inch pipeline connecting to nearby Wells No. 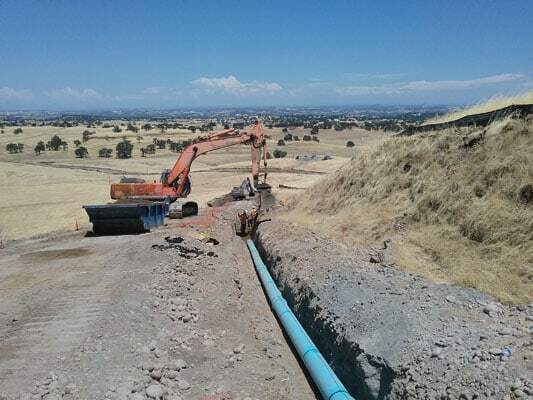 9 and 14 are being paid for in full by a $1.559 million grant from California Drinking Water State Revolving Fund Program that does not have to be paid back. 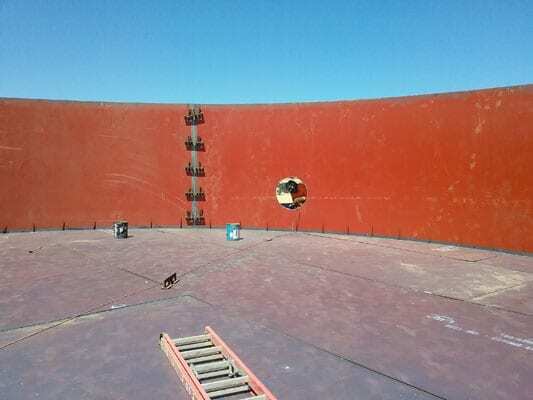 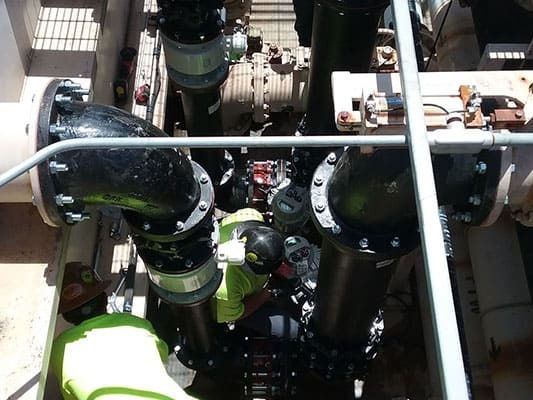 The 500,000-gallon steel tank replaces a 45-year old leaking 90,000-gallon redwood tank that stores water pumped from the two groundwater wells. 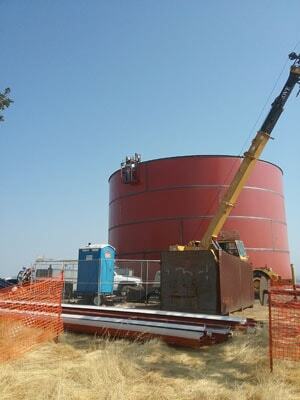 Water then flows by gravity to homes in Lake Camanche Village. 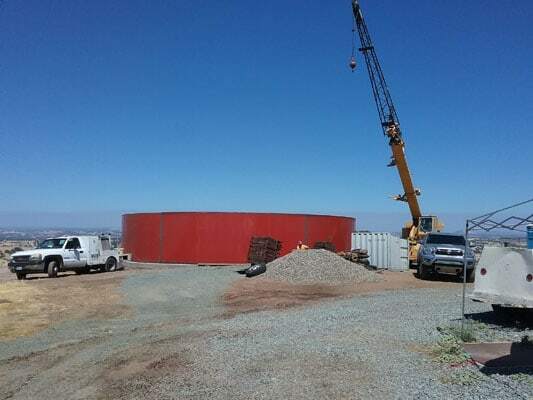 The larger tank under construction will allow for longer disinfection periods, improving water quality at the tap, and provides five times the amount of water currently available during periods of peak use and when needed by firefighters. 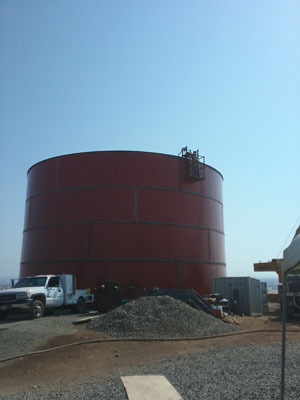 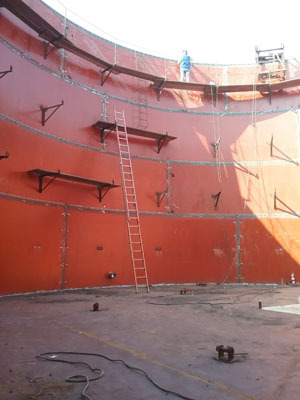 The new tank is expected to be complete and put into service by the end of this year.